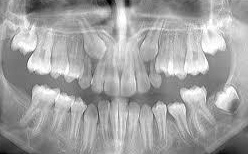 Wisdom teeth, in particular, often cause problems for patients, They may become impacted in the jaw, they may cause infection and pain, and can develop decay. To remove them often requires a surgical extraction, which can be performed either under local anaesthetic, with sedation, or under full general anaesthesia. It is recommended that this is performed by a specialist, to minimise risk of nerve injury as well as other complications. 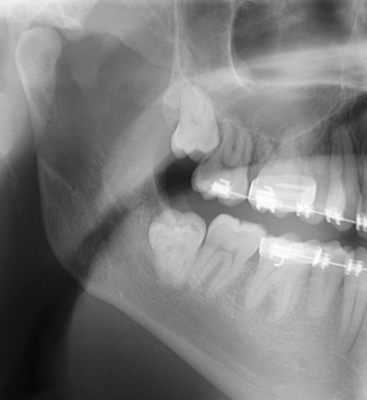 Other teeth in the mouth may require surgical extraction, or have associated pathology requiring specialist treatment. Mr Gurney can give an expert opinion and management of intraoral soft tissue lesions such as lumps, white or red patches and ulceration. There are various oral surgical procedures that go hand in hand with orthodontic treatment (braces). These are normally requested by an orthodontist and include careful planned extractions of erupted or impacted teeth to create space and maximise the development of the adult dentition. These are often surgical extractions and should be done by a specialist to minimise complications and damage to the developing dentition. Exposure and bonding of brackets to impacted teeth (particularly canines) may be required, often requiring general anesthesia. Other procedures include frenectomy, or division of soft tissue bands to maximise success of orthodontic treatment. As Mr Gurney works regularly in multidisciplinary clinics with orthodontists, he is well placed to provide this service. The developing face, jaws and teeth can vary between individuals as they grow. A dental malocclusion, or altered bite, can cause difficulty with biting or chewing and make the bite less stable in the long term. Discrepancies in the relationship between the upper and lower jaw can make orthodontic treatment alone difficult to address the issue adequately. 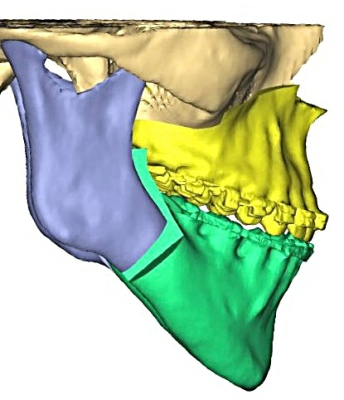 Orthognathic Surgery is a technique where the upper and lower jaws, and/or chin, can be precisely moved and realigned in combination with orthodontic treatment. Mr Gurney works with orthodontists to get the best possible outcomes for patients. Corrective jaw surgery is a particular interest of his and formed a large part of his fellowship to Melbourne, Australia. He has an interest in the application of 3D virtual surgical planning for select cases to optimise outcome and can advise on this. For various reasons we all develop 'glitches' and cell changes in our skin at various stages in our life, resulting in a patch, mole, or lump. Mostly these do not bother us, but they can be of irritation, they can change, itch, bleed or simply be of aesthetic concern. Occasionally they can represent something more serious. Surgical removal can be very straight forward and is often performed under local anaesthetic if minor. The advantage of surgical removal is that it allows formal assessment of the lesion - under a microscope - and can alleviate concerns as to its nature. If lesions are on the head and neck, it is essential that a specialist deals with them, as aesthetics are crucial. There are 3 well known types of skin cancer: basal cell carcinoma (or rodent ulcer), squamous cell carcinoma and melanoma. 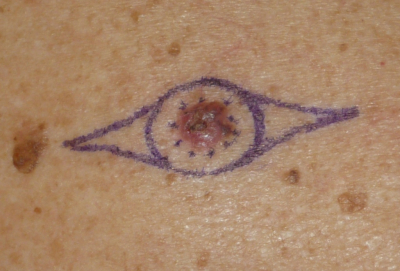 Other forms of skin cancer are far more rare. All skin cancers need to be diagnosed and managed correctly and appropriately to prevent local recurrence or potential spread, and often the treatment is surgery. 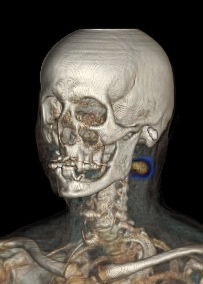 If the lesion is on the head and neck, this must be done with facial aesthetics in mind, and may require precise reconstruction with a graft or local flap. Mr Gurney has a surgical and academic interest in the management of all types of skin cancer. He is a core member of the skin cancer specialist multidisciplinary team based at the Royal Surrey County Hospital, and can ensure that the correct treatment can be commenced as quickly as possible. Obstructive Sleep Apnoea (OSA) is a debilitating condition linked to many other health problems and is becoming more common. Essentially, the inability to get a good night's sleep can massively impact on quality of life. OSA is often due to the collapse of soft tissues at the back of the mouth and throat when lying flat and continuous positive airway pressure (CPAP) masks are often the 'go-to' treatment to help manage this. If CPAP is not effective or the masks are intolerable, there are alternatives. 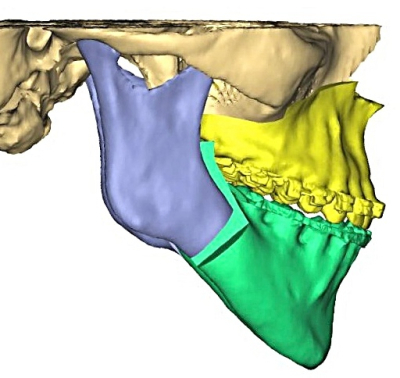 Mandibular protrusion devices can be used, and maxillomandibular advancement (MMA) surgery is an option having been scientifically shown as effective. Mr Gurney works with sleep physicians and physiotherapists to help treat OSA and performs surgery which can be extremely effective for this condition. Mr Gurney has used facial 'Botox' and filler injectables for nearly a decade. These products can be used to restore volume to the face, to smoothen wrinkles and lines and give more youthful looking skin. The aim is to provide subtle, yet effective treatment. Mr Gurney can also provide a general facial aesthetic consultation and give impartial advice for those considering aesthetic surgical procedures such as rhinoplasty, facelift or eyelid procedures. As a more permanent solution to improving volume and contour to the face, there are various options including orthognathic surgery, genioplasty or stock/custom made facial onlays/implants to improve definition and projection of the jaw, cheeks or face. The face, head and neck can be exposed to all manner of trauma - from sports injuries to road traffic accidents to interpersonal violence or just simple falls. 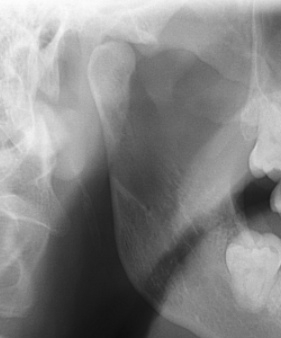 Fractures of the facial skeleton or soft tissue injuries may require early surgical intervention, and it is vital to get a specialist assessment. Mr Gurney completed a facial trauma fellowship at the Royal Melbourne hospital, a major trauma centre in Australia, and is routinely on call as a consultant for facial trauma at the Royal Surrey County Hospital, Frimley Park Hospitals and surrounding region. 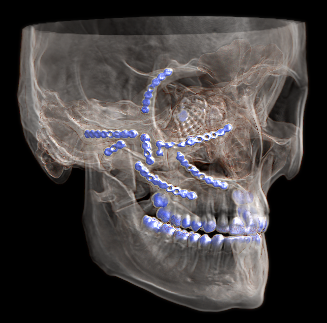 Mr Gurney can also advise and treat patients who have had facial trauma surgery, but who have had an unfavourable outcome, such as scarring or post traumatic deformity. 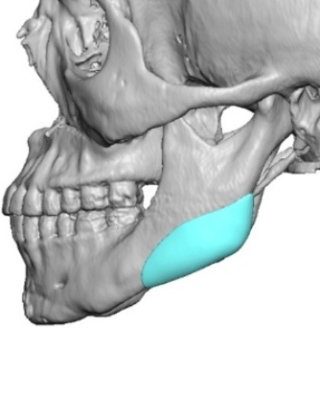 We use the jaw joints and surrounding musculature every day for talking and chewing. The joints can develop wear and tear, or over-use and can get internal problems manifesting as clicking, restricted opening or pain. The vast majority of these issues can be dealt with using simple measures, but a specialist assessment can be worthwhile to ensure there is no serious pathology in the joint(s).